Too many rock critics and music listeners over the years have written off ABBA. They consider them to be little more than a quartet of cheesy popsters who wrote cheap populist music. Rest assured, I am not one of these people. As a matter of fact, I've been going through my life thus far touting ABBA as one of my all-time favorite bands. All it takes for anyone to begin to appreciate them is to give a serious listen to Arrival. 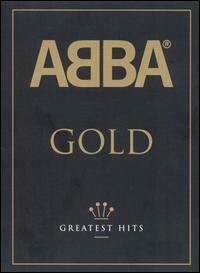 If it's not as clear as a sunny blue day that ABBA is great, then you're stupid. And you don't want to be stupid do you? But people who blame ABBA for being cheap and phony would pretty much have it right if they were only talking about Ring, Ring, which embodies all of these criticisms and maybe even a little more. A long time ago when I took my first listen of Ring Ring, I considered it to be just about the worst thing that ever happened to me. I started this website shortly thereafter, and thus this album once held the notorious position of receiving the lowest score of any album that I ever reviewed. It was even much, much lower than Genesis' Calling All Stations. But now I am properly amending that. Ring Ring might sound sucky to my ear drums, but it's not as sucky as the attack on Pearl Harbor was to Hawaii. Ring Ring is just your every day, ordinary below-average '70s pop album. It's perfectly harmless. "People Need Love" is the type of annoying "power-pop" song that absolutely drives me nuts. Likewise, I *really* don't like having to listen to the saccharine and boppy "Me and Bobby and Bobby's Brother." Trust me, that song's annoyance level does extend beyond the song title. Other bits are still hopeless but somehow likable and therefore passable. The two girl ballads at the end are so sweet that they make me feel bad for once delivering this my unending wrath. They're not so bad! Likewise the ballad "Disillusion" is quite alright, and Agnetha delivers such a sweet performance! If it needs to be said, I'm officially NOT RECOMMENDING this album to anyone who I scared off already even vaguely. This might be worth listening to once, but you'd have to be some sort of psycho-person if you get strong desires to re-listen to this a whole lot. I'm even doubting many bona fide ABBA fans (i.e. females) even listen to this album a whole lot. On the bright side, it was only uphill from here. And for that, I shall be eternally grateful! Well, this isn't the quantum leap of positive development for this group. These melodies are sometimes even worse than the ones in the debut album, and that's pretty bad. Eighty percent of the time, I wonder how this could even be the same ABBA that created so many mighty pop melodies throughout the '70s! 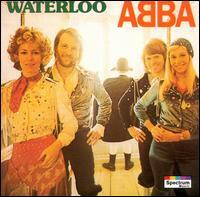 Is it possible that these guys on the early albums aren't really ABBA, but impostors from another galaxy? By now, it's been well-documented that extra-terrestrials like to mess with pop stars, so this is a distinct possibility. On second thought, no it isn't. This album contains what can't be mistaken for two glorious ABBA pop melodies. The first is obviously the album's namesake, a driven and infectious tune that's ripe for audience participation. Agnetha and Anni-Frid turn in such rollicking vocal performances that I freely admit to having to fend off the urge to holler that one on the top of my lungs! Why do I even fend off the urge? Well, if I'm listening to it driving, there's absolutely nothing stopping me except maybe the police... "Waterloo" was ABBA's first international hit single, and it remains one of their most beloved songs to this day. The completely irrelevant lyrics about the Battle of Waterloo (and *not* a wet toilet like I previously thought) just adds to the fun. The second great ABBA song is called "Honey Honey," and it finally proved that they did have an ear not just for melody, but also harmonic chord progressions --- an extremely important aspect to their hit singles. It could be considered a bit of a throwaway, but it rings in my ears just like a classic. Then by golly, it must be a classic! These two songs completely murder "Ring Ring," and they didn't even bother asking for ransom. Unfortunately, much the supporting material is done so poorly that I couldn't help but give this ABBA album another 7 rating. I wouldn't want to hear awful tripe like "What About Livingstone?" ever again in my life! I don't even want to think about it!! As far as I'm concerned, that one's even worse than anything from their debut. Also, "Gonna Sing You My Love Song" is so bad that it makes The Carpenters look like ABBA. That's just depressing. Can you taste it? There is something great happening! Not only is this band finally lifting itself out of the murky depths of mediocrity, they're beginning to frequently turn in utterly durable pop classics. This sudden shift from being below-average to average would have surprised anyone paying attention to ABBA back then. After going through those previous albums recently before reviewing this, it still manages to come off as somewhat of a shock. This is a genuinely good album! There goes more of that unbridled praise, and I'm always willing to fork it over when it's merited. Nevertheless, as you might have been able to gather, this album is far from being perfect. Half of me wants to forgive them entirely for the mediocre spots, because they were a singles band first and foremost. Their golden moments tend to greatly outweigh the bad. Alas, I have to take them into account! Repeating a same mistake they did in Waterloo, again they try combining Euro-pop with reggae in "Tropical Loveland" and again, it doesn't work. They're also responsible for one of the most embarrassing funk songs of all time with "Man in the Middle." Its melody might be OK, but why do they have to be such wusses? Oh, their wussiness doesn't end there. I have to start a new paragraph to adequately delve into this topic. It's their rockers!! There's three of them: "Hey Hey Helen," "Rock Me," and "So Long." I profess to liking these songs as a matter of fact, because they're well written pop songs, but ... wow, are they sterile or what? You don't even have to look at them closely to discover that they're really just Euro-pop songs with a loud drum beat and electric guitar. I guess, this ultimately proves that this band was destined for Euro-pop and Euro-pop alone. Thankfully, they would follow that path! This album constitutes another massive jump in quality that they're making me consider the plausibility that they've gained their massive songwriting powers by sucking all the talent out of Sweden. I'll leave you with just one question to think about: Was there any other band from Sweden that's worth listening to? ... If you were going to say Ace of Base, I might have to shoot you. So, what a freaking great album! The merits of "Dancing Queen" alone makes it worthy for this distinction. For my money, that song constitutes ABBA's shiningest moment, and ultimately one of the greatest pop songs ever written. If it's none of that, then I can tell you that it's one of my personal favorite songs! This dance song, often mislabeled as disco, is one infectious masterpiece. The production is utterly remarkable, and so are many of these other tracks. They were obviously taking some hints from Phil Spector --- the more sounds the better. Well, yeah, it worked! "Dancing Queen" is so spirited and even rather heartfelt; it brings me right to that dance floor. That's one mightily difficult song to dislike. Amazingly, some people do. I usually don't like to sound snotty-nosed, but that's just stupid! For some reason, there are other songs in this album and many of which warrant further ranting! "Money Money Money" is also emotional but for entirely different reasons. Anyone who thinks that ABBA only wrote sunshine pop songs obviously hasn't listened to that spiteful piano pop tune. Not only that, but the melody is utterly infectious, so the emotion is more likely to resonate. "Knowing Me Knowing You" is also a decidedly non-sunshine track that's extra-killer, because it has an infectious dance beat. The opening pop-rock track "When I Kissed the Teacher" is so catchy that it warrants the question: "How could this not have been a hit?" The answer, of course, is the album had so many other hits that there just wasn't room! Well, that's a priceless gem that you might not have heard before. Oh, and if you have the edition with the bonus tracks, you'll have some "Fernando." I can hear the drums and I'm not Fernando. But now the shining praise ends here. As you'd expect, there is a fair amount of fillery material here. Although proof that ABBA had greatly improved by this point; much of the material I'm mentioning here would have been considered a sheer highlight on their first two albums. The worst of the bunch is "Why Did it Have to Be Me?" a cheesy boogie-woogie song that does nothing. It's the only track here that actually manages to get boring by the end. "Dum Dum Diddle" is actually pretty decent, but it manages to come off as goofball and throwaway. "Tiger" has its interesting aspects, but it's also rather underwhelming. Surely, I'm stretching to point out all these so-called "weak spots" when I can say that I rarely ever run across a straight-pop album that's so much fun. These guys were absolutely unstoppable. It's hardly worth denying that this is some unstoppable pop music. This is about as good as it gets -- the wonderful hits are still here, and now the filler material has been reduced to almost nothing. The result: This is one excellent album! How can it go wrong? Right off the bad, they provide us with "Eagle" one of the most captivating ballads of their career. Just like "Dancing Queen" put me right there on the dance floor where our 17-year-old hero is strutting her stuff, "Eagle" puts me right in the air with the eagle. It's hard to imagine that a song like "Eagle" should really be considered "Euro-pop." Er, art-rock, rather? ...Basically. Naturally, they don't forget that they're ABBA, and they follow that up with the dance tune "Take a Chance on Me." But what a song that is! I can't think of so many dance songs with an a cappella intro. There also aren't that many dance songs with such infectious melodies. You'd also be wrong calling this track disco. Nothing would be farther from the truth... It's just a good dance song! Likewise, "The Name of the Game" has such deathly hooks that it's utterly unstoppable. As far as I'm concerned the defining moment of the album is *ahem* the schmaltzy country-western ballad, "One Man One Woman." Usually stuff like that is designed to be filler, but it actually managed to turned out to be quite an excellent time! It's clearer than ever that ABBA was completely on top of their game at this point. The most killer ballad of them all is, without a doubt, "Thank You For the Music." That's such an impeccably produced beauty! If you have the version of this album with the bonus tracks and you hear Doris Day's rendition of it, it's clearer than ever what ABBA's sense of song production actually does to a song. Sure, Day still sings the prescribed melody, but it's not even remotely as captivating. "Thank You For the Music" and the closing two songs were originally part of a mini musical. "I Wonder (Departure)" is a rather convincing though underwhelming Broadway "aria," but "I'm a Marionette" is an especially well written song that expertly utilizes a full scale orchestra! If you needed further proof, these guys were impeccable arrangers. Excellence. In fact there are only two songs that I don't like. "Move On" could legitimately be called "fillery" even though it doesn't exactly make a poor listen. Unlike most of the other tracks on The Album, it is unmemorable. Whenever it pops up, it makes me want to dutifully do what it's proposing and move on! Er... Well, the next song is "Hole in Your Soul," the worst of them all! They're attempting to be rockers again even though it was already firmly established that it was never meant to be! It's utterly sterile and faceless ... and nobody needs it. But that's just a minor blemish on an otherwise fine album! I'm still confused how people can actually hate this band especially after listening to this album. Is your brain on straight?? You see, it wasn't until 1979 that ABBA started to write true disco music. Sure, this was definitely a major step down for ABBA and a vast disappointment in nearly every single facet compared to 1977's immense classic The Album. Not only are the melodies much less endurable, but the production is worse and so much of this is faceless. Usually, the band's history was blamed for this reversal in quality. 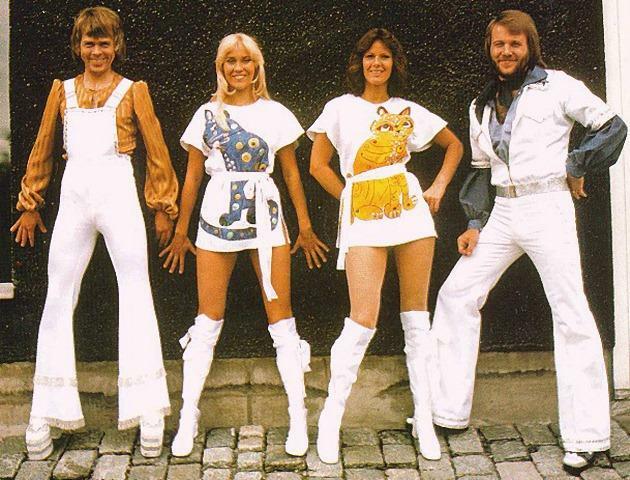 Previously, ABBA consisted of two couples making music together. By this time, both couples had divorced. 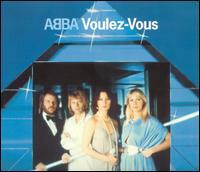 It's a shame about the divorces, but the story of Voulez-Vous wasn't completely bad news. The songwriting might have taken a turn for the worse, but that doesn't mean they've forgotten how to do it or completely gave up on it. I mean, considering the whole band's discography, this is certainly more enjoyable and consistent than their eponymous 1975 album! The disco dance numbers are just fine although they constitute some of the weaker moments of the album. It begins with "As Good As New," a melodic dance song with some slight but decent classical ideas inserted in the mix. The closing track is also disco, "Kisses of Fire," which makes for a pleasant listen, but it's hard to not be reminded that it's not as insanely enjoyable as basically anything from their previous two albums. The best of the disco stuff is easily the title track. I'd also never claim that it's among ABBA's finest work, but it does exactly what a dance song is supposed to: make me want to dance! Lucky us, ABBA wasn't going completely disco, and it's not too surprising that the album's major gems were just like normal ABBA songs. The folk-tinged, mid tempo pop tune "Chiquitita" is probably the highlight of the whole album with a melody that's heart-melting. The breezy atmosphere on that one is done so well that it's remarkably difficult to fend off the urge of singing along with it! Interestingly, there's also somewhat of an overlooked gem here called "Angeleyes." That's just a great Euro-pop song with a perfect melody. So this might be a step down for ABBA, but it's not nearly as bad as its reputation. I'll take this over anything I heard from Madonna; that's for sure. It's obvious that ABBA had already well hit their peak by this point, but still they don't act like they had totally given up. They're even picking up quite of the slack in both the production and songwriting departments that have been lacking in Voulez-Vous! (That one as a low-11, and this is a high-11.) The result is this is yet another fantastic album full of such durable hits, they seal their position as one of the greatest pop band to ever grace our decrepit Earth. They're still the writing melodies like the gods at any rate. "Super Trouper" takes one of the cakes. The melody is instantly memorable and wonderful. It's hardly worth denying that I've been an ardent admirer of that song for quite some time now. But "The Winner Takes it All" takes another cake. That's quite possibly ABBA's most gorgeous ballad of their career (and that's saying something) featuring utterly beautiful vocal performances, and it even exhibits some emotional depth that largely escaped them until this point. It was such a surprising move considering they're usually quite shallow (but fun). "Lay All Your Love On Me" was a huge dance hit and it's still considered a favorite at dancing parties. It's so infectious and even has a surprisingly dark atmosphere. Then there's "Our Last Summer," which is a convincingly sentimental ballad with another fantastic melody. Above everything else, "The Piper" proves to be the most interesting track --- it's a pop/folky track with a hint of prog-rock. That's a strange combo, but it turned out great. The album isn't 100 percent perfect, naturally. "Andante Andante" and "Me and I" are both cheaper than the previously mentioned tracks. However, they're both mildly entertaining. The only real stink bomb the band unleashes on us is the curiously out-of-place "The Way Old Friends Do." It's a live cut (!) of a song that wasn't too great to begin with. The resulting instrumentation is murky, and horribly out of place among all the other tracks, which glisten. 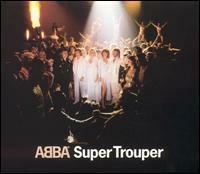 But if you're willing to put those aside, Super Trouper is a gem. Too few pop albums of the era are this good. You know what? This is my absolute favorite ABBA album. I get funny feelings whenever I get strange opinions like this, but I can't shake off the feeling. The Visitors is a freaking masterpiece, and I get that impression more distinctly every time I listen to this (which is pretty often, actually --- once or twice a month). 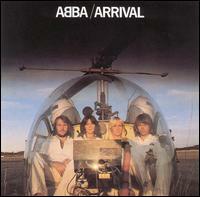 Even though this is ABBA's swan song, it marked a major shift in the direction for the band. As you know, ABBA had a pretty illustrious Euro-pop past with such glorious, shiny hits as "Dancing Queen," "Mamma Mia" and about eight billion others. But The Visitors is different. Instead of being happy and upbeat, they're being considerably darker and more contemplative. Benny, Bjorn and their producers were becoming intensely interested in synthesizers and making "mini orchestras" out of them. Well, I for one, love this direction they took. They would take these skills to work on the Broadway musical about chess, love and the Cold War to end all Broadway musicals about chess, love and the Cold War. 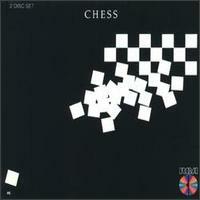 Yes, I'm talking about Chess! Seriously, if you're an ABBA fan and you haven't picked up that soundtrack, you should. By almost all accounts, it's a continuation of ABBA except, unfortunately, Agthena and Anna-Frid cannot be heard on it. Anyway, none of these reason is why The Visitors is the best ABBA album. It's the melodies, of course! Never has there been a more solid set of tunes. True, they don't have anything quite as fantastic as "Dancing Queen," but apart from one exception they also don't have any purely mediocre songs on here. This exception is "Two For the Price of One," which almost ruins this whole experience. But it's easy enough to press the "skip" button on that one! "One of Us" was the major hit from the album and the most instantly memorable track from the album. 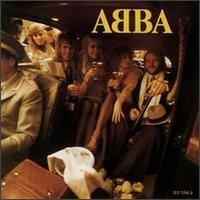 It has a typical ABBA chorus, and the orchestration is as well-produced as its ever been for them. Even though I admit that's probably the highlight of the album, there are other songs that come close to the distinction. "Head Over Heels" is a surprisingly jazzy number that manages to not betray the synth-heavy mood of the album, and it features one of my favorite vocal performances on an ABBA record. "I Let the Music Speak" and "Slipping Through My Fingers" are both hopelessly beautiful ballads both with fantastic orchestration. 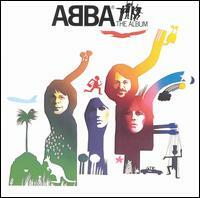 The bonus tracks contain "Under Attack," ABBA's last great single, and "The Day Before You Came," and absolutely beautiful synth-pop epic that everybody should hear at least once in their lives. I can't stress it enough: Every song on here is excellent except for one. I can understand why many fans won't like this album, because they'll feel betrayed that ABBA changed to a much dark incarnation from their former happy, pop-ster selves. Personally, I think it's best when artists choose to evolve and change their faces every once in awhile. 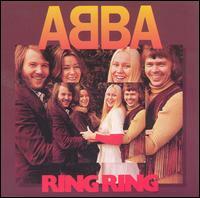 Granted, ABBA didn't have much reason to change their face because this was their last album! At any rate, The Visitors ends up proving that this Swedish quartet band had a lot more depth and beauty than they originally let on. This is a haunting and priceless album. It goes without saying that there's NO WAY that ABBA will sound better live than they did in the studio. This is so universally understood that I really didn't need to mention it. (And yet I did... Well, I'm absolutely useless, then aren't I!) It's true that ABBA is best known for their intricately produced albums, which have been painstakingly mixed to get the perfect sound. The result is, obviously, the live versions lose quite a lot of their appeal with the loss of production. A few tracks here sounded especially good to me. "Thank You For the Music" is one of those songs that has a lot of *life* in it, and they do an excellent job letting that song live on stage even without the impressive production standards of the studio version. No live ABBA show would ever be complete without "Waterloo" although I don't quite think they let that one live to its potential. It's a heavily spirited, rocking song, but I could envision a live version that's even more so! Their work with "Eagle" is surprisingly convincing since I originally thought much of the appeal of the studio version relied on the production and arrangements. That's probably still true, but they manage to still make the live version soar. The bring in electric guitar solos also to help move it along. They didn't did as much justice to "Dancing Queen" as expected. That means it's nowhere near as good as the original; it doesn't even come close to comparing. I also take issue to a few of their song selections. "I Have a Dream" is resurrected in its corny glory, but to make matters worse, they incorporate a bunch of off-key kids to sing along with them. (In the video they were even all holding candles. So that makes it three times the corniness.) "Two For the Price of One" is absolutely the worst song on here and in the running for the worst song of their post-1975 career. 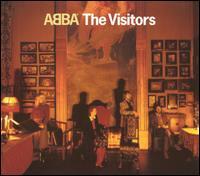 It's the only selection from their excellent swan song The Visitors, and that disappoints me to no end! They also could have chosen something better than "Does Your Mother Know." For example, it's almost painfully obvious that "Mamma Mia" and "The Winner Takes it All" are inconspicuously absent! I will commend them for choosing "On & On & On," though. That rendition managed to be enjoyable while sounding fundamentally different than the studio version, and it surprisingly ended up to be a fitting conclusion. So, I'll have to say that this is a nice album, and it makes a perfectly nice experience. I'd have to reiterate that there's no reason anyone actually needs to hear this, unless you already know their material by heart and want to hear something else. On second thought, I probably fall in that category, and I'm doubting that I'll be listening to this much at all after I'm through with this review. It's best to make up your own images to ABBA's classics. This isn't exactly how I thought this band would look in music videos! Their stuff is POLISHED and SLICK and FUN, but the band's not always fun to watch. The "Super Trouper" video was probably the most gimmicky and annoying one there, featuring a bunch of circus people doing weird things. And, as I mentioned earlier, Anni-Frid was SCARY!!!! She's one of those women-types who look better without make-up on ... SERIOUSLY! And that 'fro she had ... No, thanks. ...And you've got to adore that "Waterloo" video just to see those freaking outrageous costumes they would sometimes don. ... That Bjorn looked positively freakish in those tight pants and those really huge platform shoes! Dudes!!! INSANE!!! "Lay All Your Love On Me" was just a disgrace, though! ... It consisted of clips from other music videos, and whoever melded these clips together was a freaking amateur. Blech. The music video for "I Have a Dream" was pretty crappy as well. Supposedly, this disc is the only place you can buy this video ... It's not worth it. Believe me. I'm not too crazy about the song, anyway ... but they had to go and bring out 25 snotty-nosed kids (most of whom weren't even *cute*) on stage to sing it with them in one gargantuan moment of unrelenting CHEESE. ... Really, it was so horrible that I practically vomited on the carpeting ... and thought if I had, it would have given me something less crappy to watch. Now, that video alone gives me good enough reason to start hating this band, but ... I won't do that. ... No way ... They were never much for live shows and touring, after all. Indeed, these ABBA videos are a mixed bag. ... You'd have to really be into ABBA to enjoy them. Speaking of myself, I am *into* ABBA, but obviously not enough! Question: After you've just folded a successful rock band and have nothing better to do besides bungee jump off fjords, what do you do? Why you write a musical of course! The people I'm talking about are none other than my favorite Swedish male singers who can single-handedly (or perhaps double-handedly) make King Kong voluntarily get off the Empire State building, dye his head blonde, and adopt a Swedish accent. ("It's the King Kong song, won't you sing along?") Yep. I'm talking about Benny Andersson and Bjorn Ulvaeus from ABBA. Unlike what's implied, lyricist Tim Rice had been wanting to do this musical for heaven knows how long. He was hoping to do it with Andrew Lloyd Webber (who did Jesus Christ Superstar and Evita with him), but Sir Andrew was too busy playing with the pussies (in Cats). So, I assume that prompted Tim Rice to start up with the alcohol and mope in his mansion until that fateful day in 1983 when it was announced in the headlines: "ABBA breaks up. Jah it's true! Dey told me so!" and, to celebrate, Tim Rice played Dancing Queen on the turntable. It was then he was struck with a stunning realization: these guys are Swedish. But then he was stuck with another: these guys are good... why don't I ask them if they want to write the music to Chess? Well, fate stepped in and Benny declared that he would rather create the Jesus Christ Superstar of the 80's chess world than to jump off fjords in the homeland. And so... Tim Rice finally saw his creation take the world by storm, and people flock to Broadway from afar to watch it. Well... if you're one of the elite few who have actually heard of this play, you probably know I'm lying. This was a Broadway flop. Mildly successful at West End ... but when it was brought to the states, it took the dunk ... Swedish style. Such a thing was unexpected considering the personnel involved! Say what you want, but Tim Rice is simply superb lyricist ... Benny and Bjorn can hook you to death (and they do it on Chess) ... they managed to land a popular cast including Elaine Page, Murray Head, and Barbara Dickson. This is pretty good 80's rock music, which was very popular in the 80's so I've heard. There was even a hit song on here! ("One Night in Bangkok!") But why did it flop? Well, as I understand it, there were three reasons. One-the direction sucked. Two-the critics hated it. Three-it's a boring play. Four-it's dated. It's about the Cold War, but it was released on Broadway just after the Cold War ended. (Oh so there are four reasons ... so sue me!) 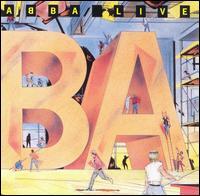 This was actually a concept album in 1984 before it was staged at West End in 1986 and then Broadway in 1988. ...But the pure and simple fact that this play is boring should put the stamp and sticker on it. Now, I did actually see this play performed, and I bloooody hated it! It was booooreeeng! It was a professional theater doing it, too! It was soooooo tedious. A couple years later, I was dipping around with Napster... (ah... those were the days) ... and I remembered that boring play I saw. So, on a hunch, I downloaded a few songs from it and I realized that, wow, this music is GOOD! So I purchased this two-disc soundtrack. (Who says I'm a music thief? I shelled out nearly 40 bucks for this!!!) And I became an addict. And I'm still an addict. (Come to think of it, I wasn't really aware of ABBA at this time!) And I then became an addict of ABBA. This is a nice dark play for you fans of Les Miserables and Phantom of the Opera and the music is likewise ... dark, atmospheric, passionate, and catchy as heck! Oh, and I love this album! Have I mentioned that yet? It's still one of my favorites! It's a very effective blend of 80's rock and classical music (mostly Tchaikovsky).